The milky liquid pressed from the oily meat of the coconut. Coconut milk is lush and slightly sweet, making it a comparable plant-based replacement to traditional cow’s milk; commonly used in desserts and curries. 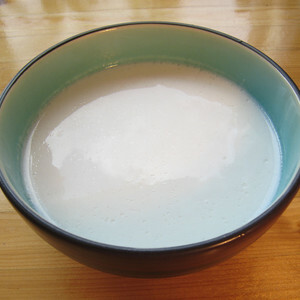 More information about coconut milk can be found here on our blog!